Speedcache is a new caching component built by the guys from Joomunited. They were searching for a solution to push Joomla as close as possible to a flat CMS rendering for a selection of pages. What it does? it comes on top of Joomla cache and Gzip optimizations. It's not far from the Joomla page cache plugin or the Siteground Supercacher plugin but with more compatibility with Joomla content. The plugin is built to be used on top of the standard Joomla caching system (the one set in the Global Configuration screen). 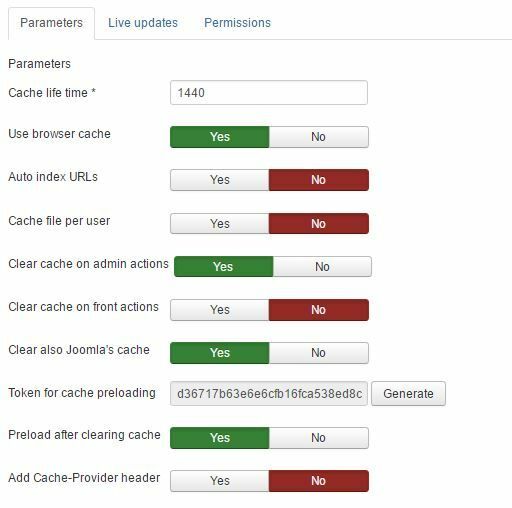 The plugin should not be used together with the Joomla core System - Page cache plugin though (it replaces it). 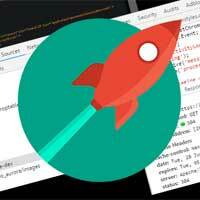 As far as serverside caching solutions are concerned, like Google Pagespeed and Siteground Supercacher, it is fully compatible with those, which could make your site extremely fast. Most of these options are self-explanatory and otherwise the options have help-text if you hover your mouse over it. You see that there are some pretty advanced options here. Especially options for cache-per-user and cache-pre-loading-after-cleaning-cache are very useful and not found in many other cache plugins. For some of these settings you may need to play with the options for optimal results. From the Live Updates tab you can also configure the plugin to auto-update itself from the Joomla Extension manager. Now if you Save and Close this, there is only one major step to do. Select URL's to be cached. You can set Auto-index URL's on in the Configuration. Then any URL browsed to in the front-end will be added. It is advised to only use this setting until the discovery process is finished, otherwise it will make the site a little bit slower. After this you should be ready. Hopefully your site is a lot quicker now than it was before. If you want to check this, make sure you test your pagespeed before and after the installation. You can download Speedcache from the JoomUnited website. Subscriptions vary from $24 to $39, depending on how long you want to receive updates and whether or not you need support.